宜しくお願いします& Let’s drink some beer! 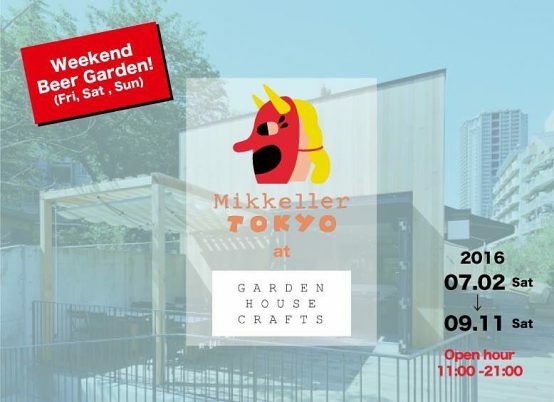 Summer time means beer gardens in Tokyo, so Mikkeller Tokyo is teaming up with Garden House Crafts to make the most delicious beer garden around. Find us on the wood deck of Daikanyama Log Road every Friday, Saturday and Sunday this summer, starting July 2nd. We’ll have six taps of Mikkeller perfect for hot days and summer nights, along with special creations from the Garden House Crafts kitchen and bakery to pair with our beers. Sunshine and great beer, it’s going to be a good summer.